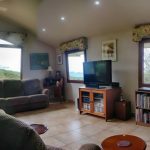 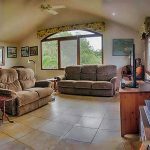 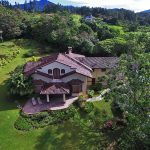 This beautiful home sits overlooking Boquete’s only 18 hole professionally designed golf course and also has lovely mountain views. 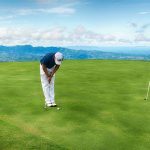 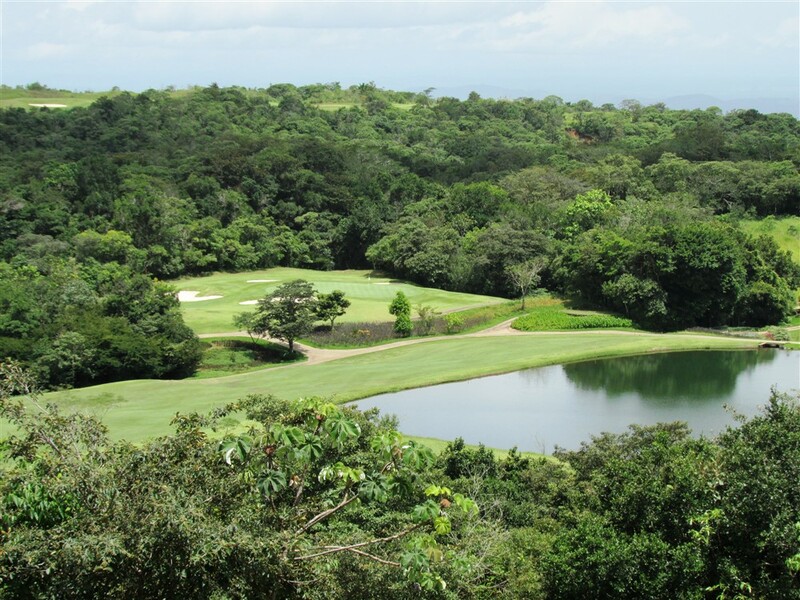 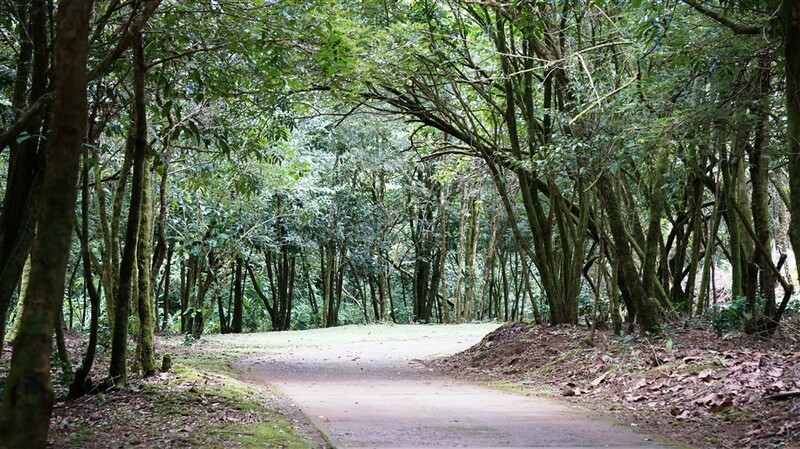 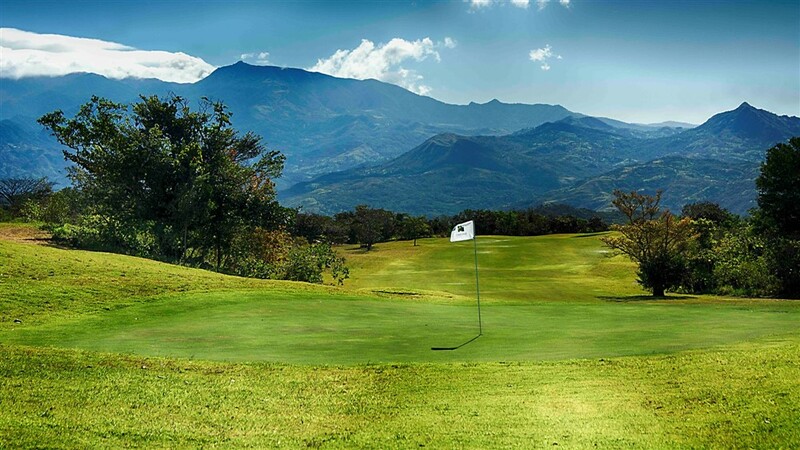 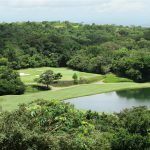 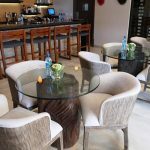 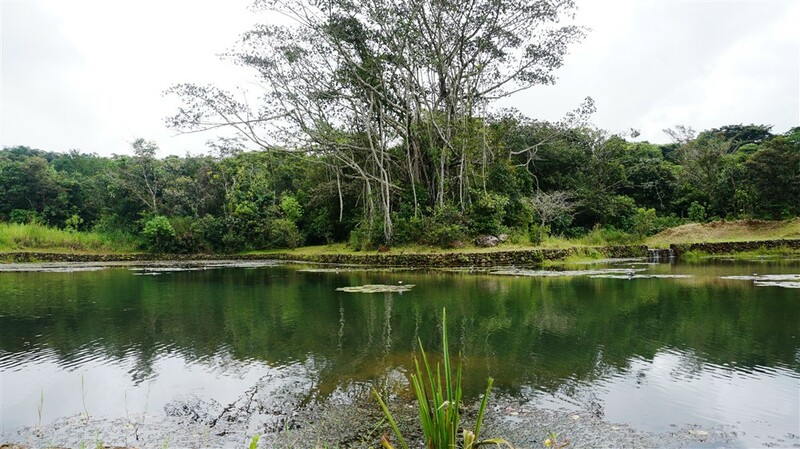 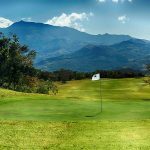 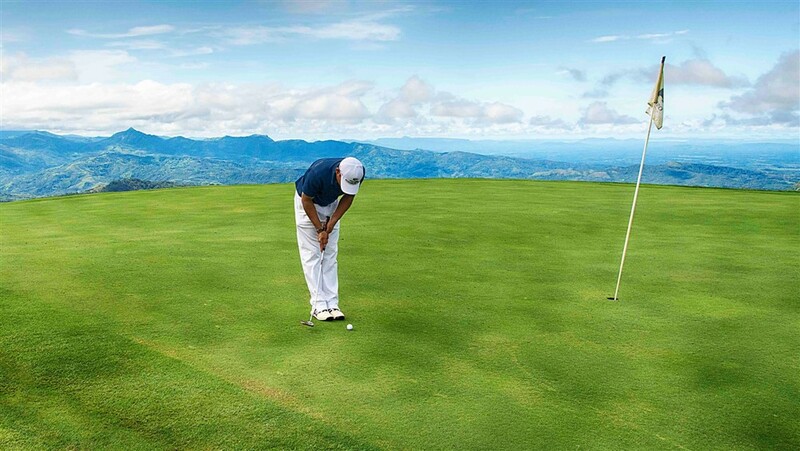 Lucero Golf and Country Club is one of the most prestigious and sought after private, gated communities in Boquete. 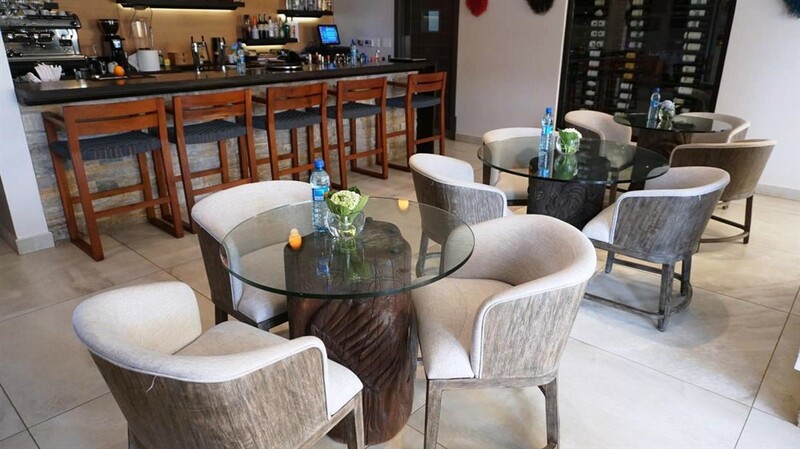 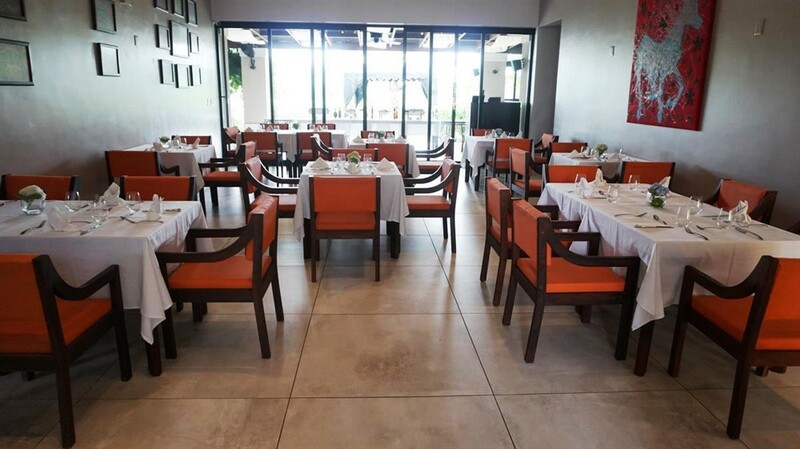 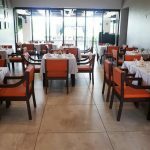 A new restaurant (Seasons) has just opened, and in addition to the fine golf course, Lucero has the only clay tennis courts and tennis pro in the area. 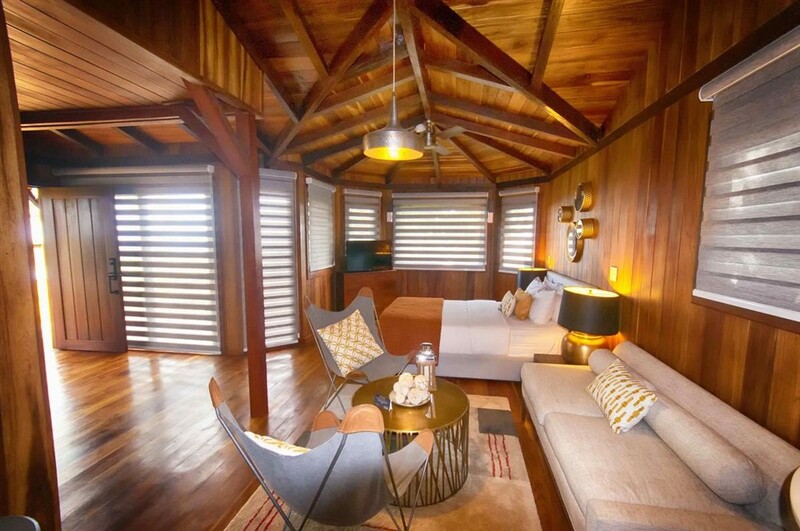 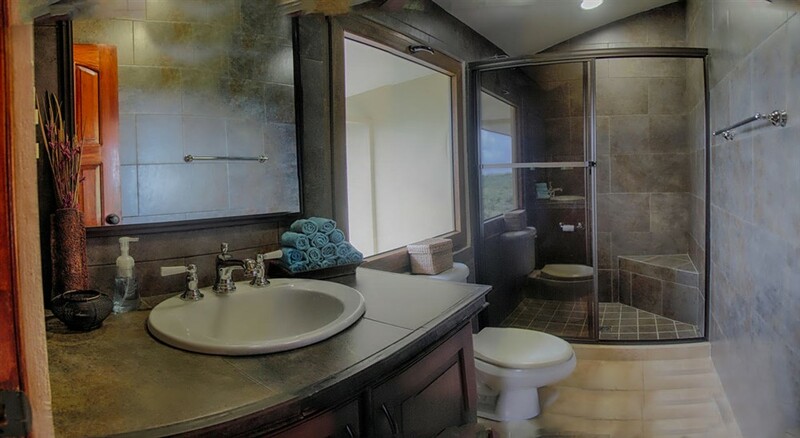 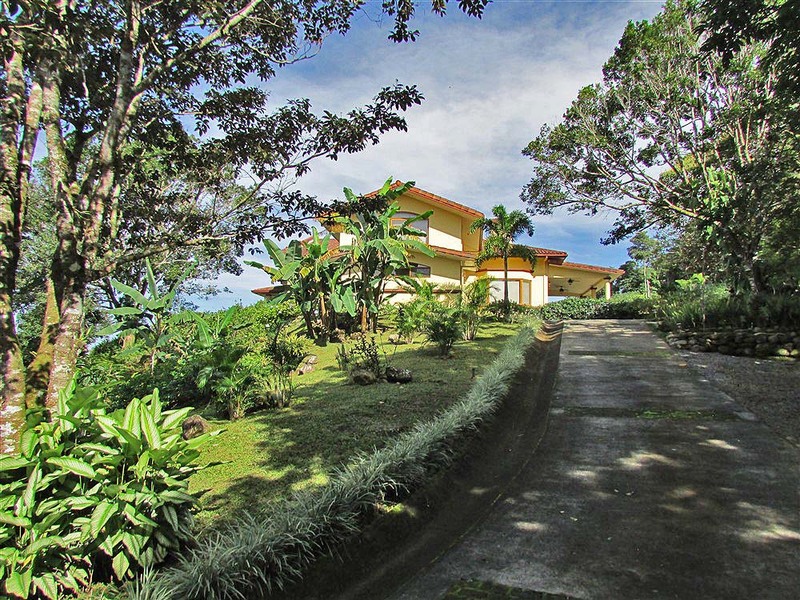 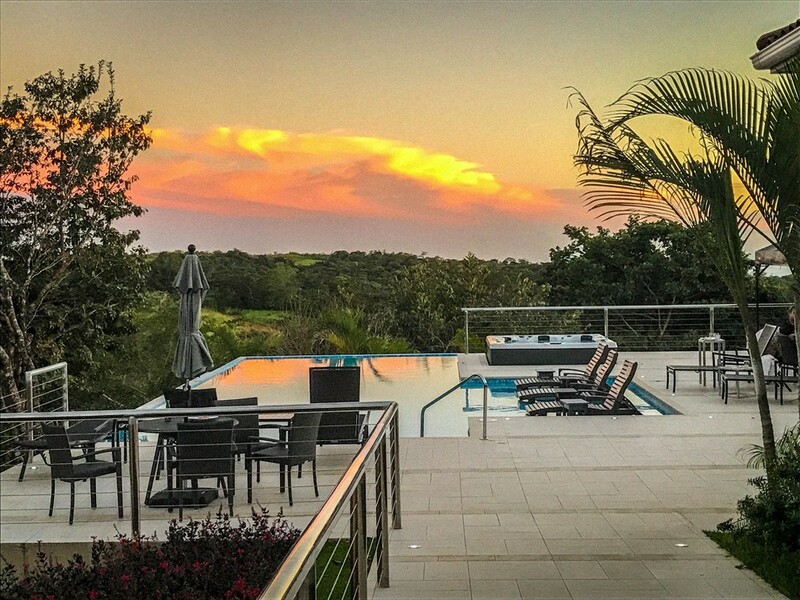 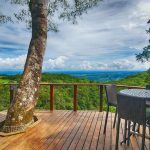 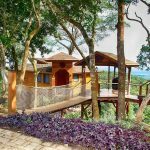 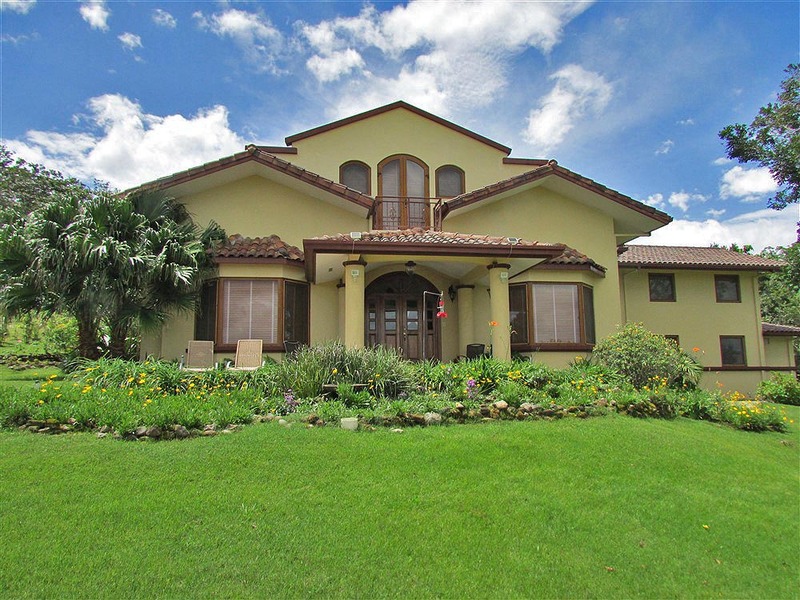 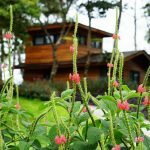 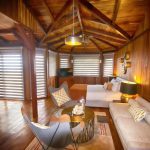 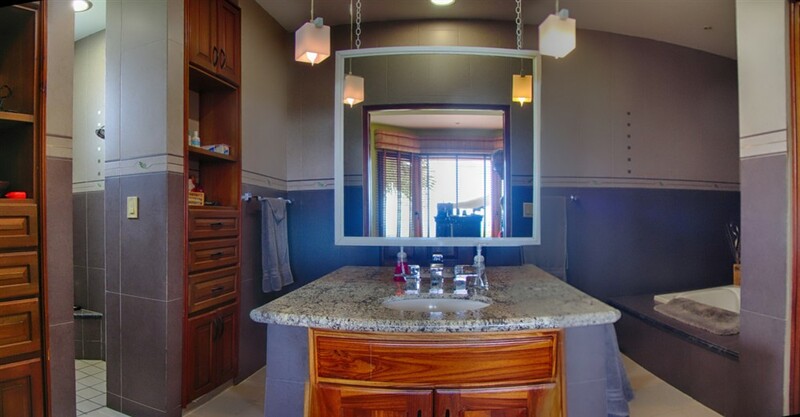 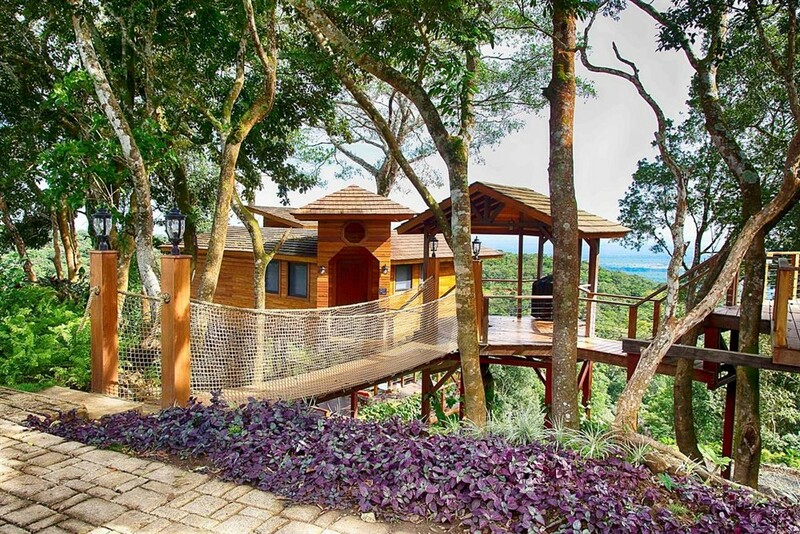 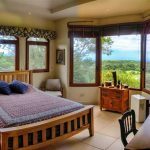 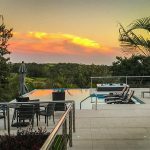 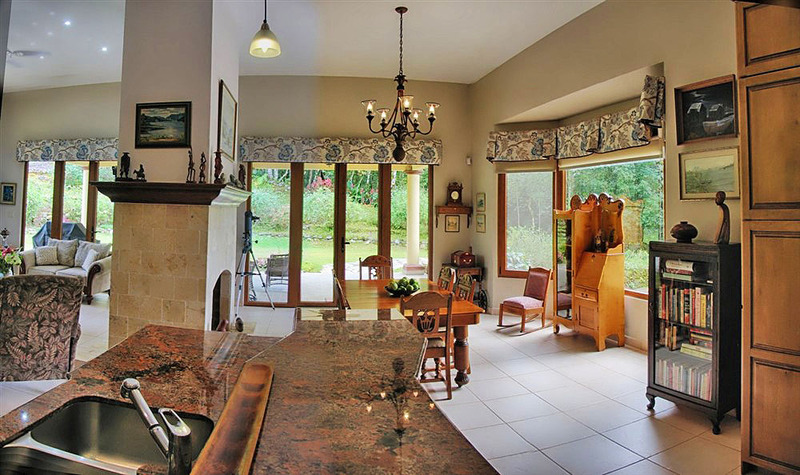 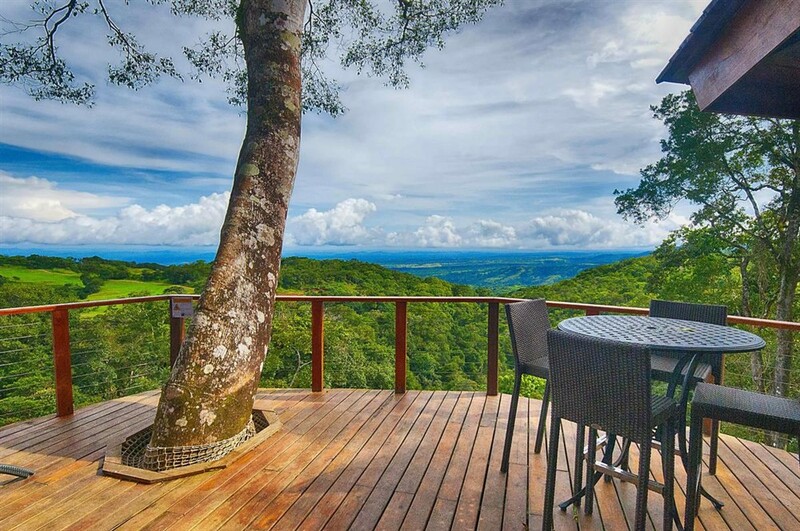 This 4,500 square foot [418 square meter], 3 bedroom, 4 bath home was designed by one the Chiriqui Province’s most respected architects and features a unique open-concept layout with a bonus room at the front of house. 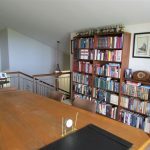 The bonus room makes a great office with spectacular views. 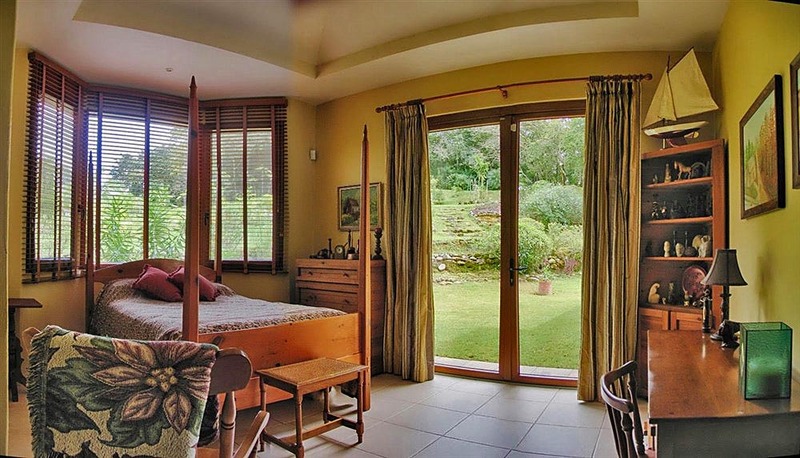 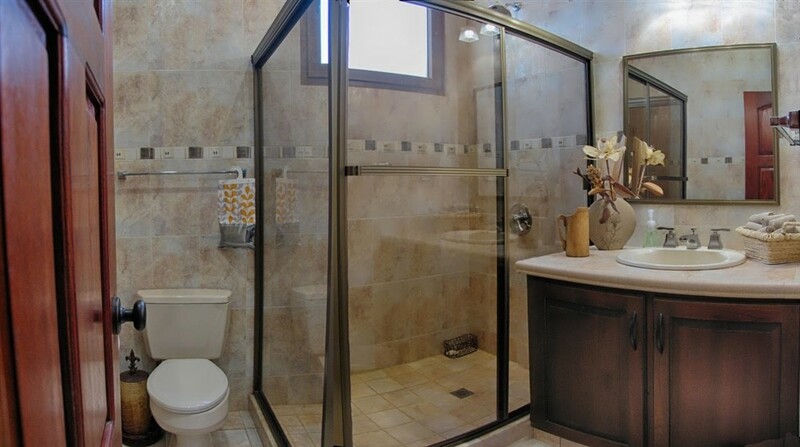 There is an additional large room that could be used as fourth bedroom plus gym, since it has an ensuite bathroom. 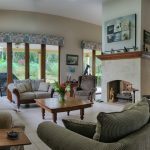 With extra-high ceilings in all rooms and ceiling fans inside and outside, of course no heating or air conditioning is required, but for those cool nights there is a two-sided gas fireplace between the dining room and living room. 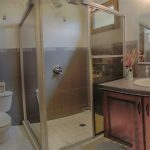 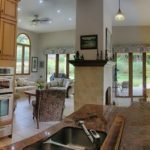 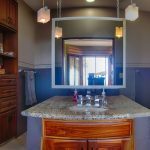 Other nice features include granite counter tops in the kitchen plus professional grade stainless steel appliances including a six-burner gas stove. 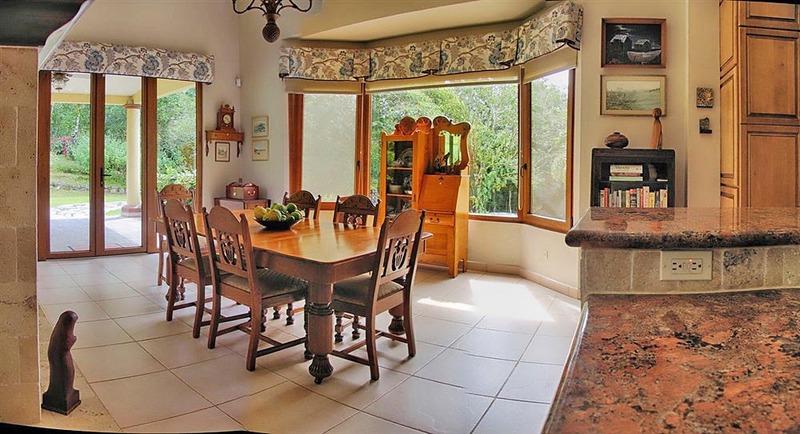 Front and rear covered patios and second-floor balcony from bonus room at front take full advantage of the incredible mountain and forest views, as well as views of the Pacific ocean during the day and the lights of City of David at night. 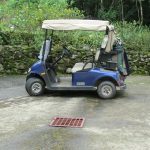 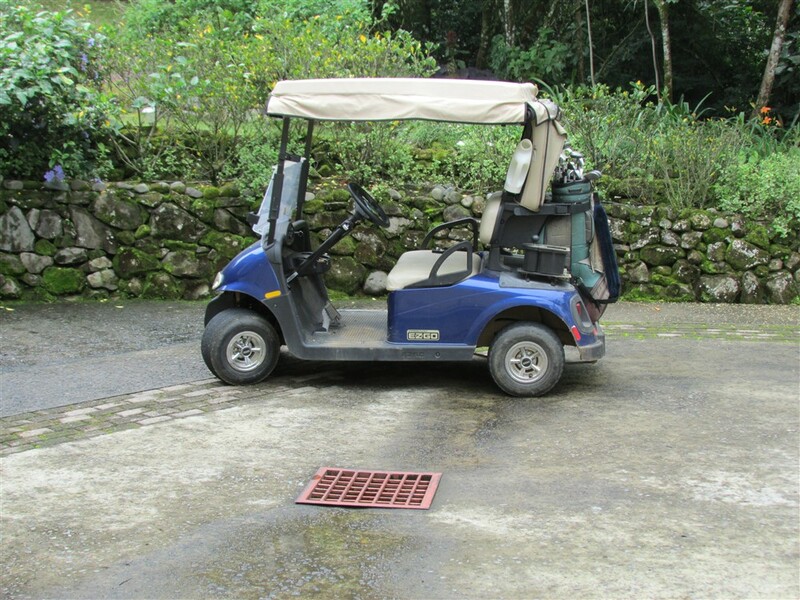 Living on a golf course, there is a 2008 EZGO electric golf cart included (new batteries 2014, new charger 2017) as well as exercise equipment. 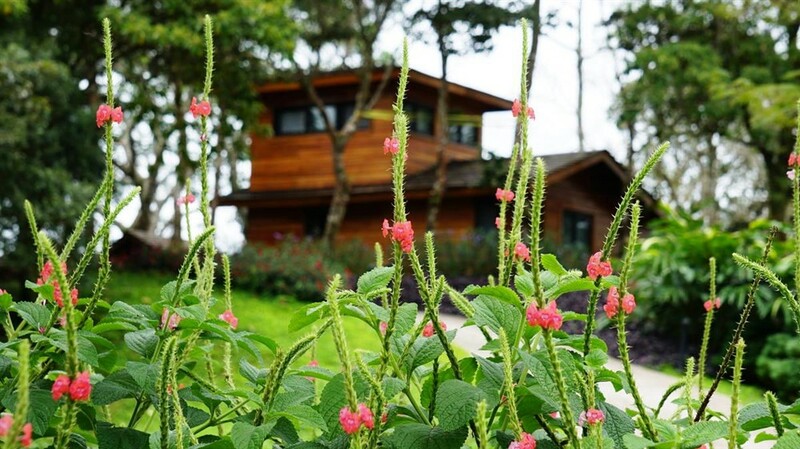 Other important features include 2T, car garage with electric door openers, secondary water filtration system with filters and ultra violet light, backup gasoline electrical generator and alarm system throughout the house, A second refrigerator and chest freezer are also included. 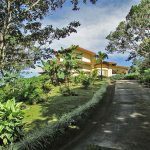 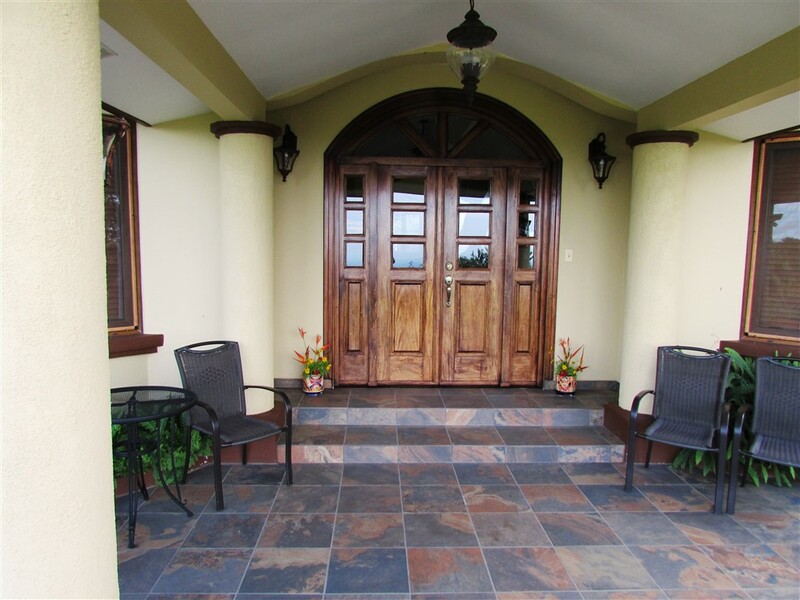 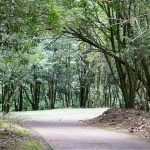 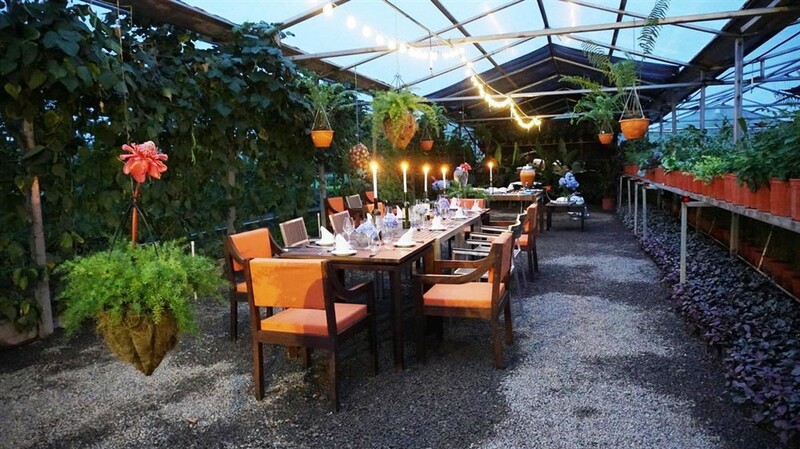 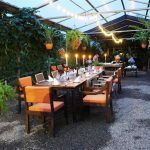 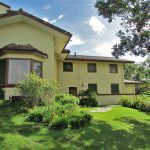 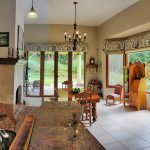 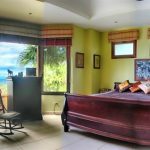 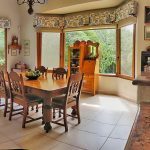 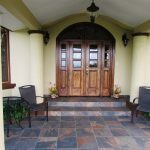 The house is situated on a 1 acre [4,065 meter] landscaped lot with irrigation system, lots of fruit trees (orange, lemon, lime, banana, mango, papaya) plus a vegetable garden. 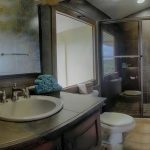 A gardener’s workshop/storage shed is complete with bathroom facilities. 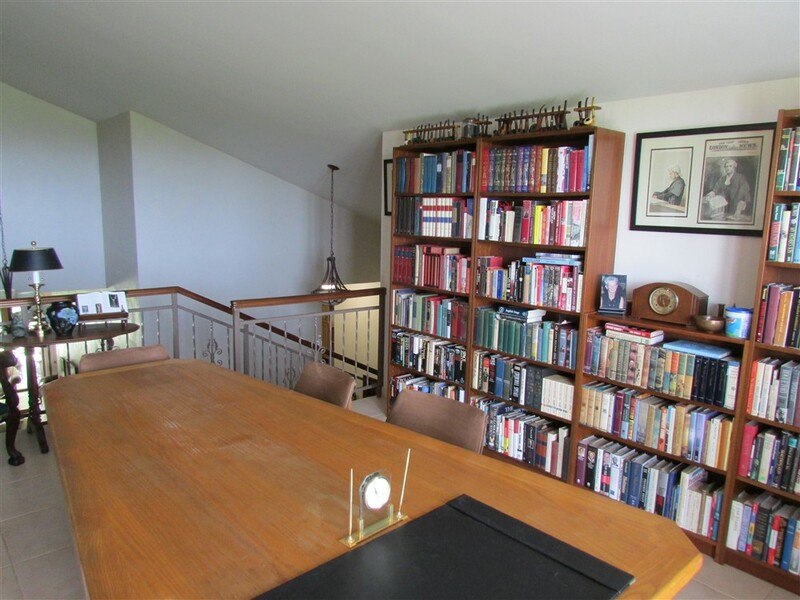 Tools and ladders are included. 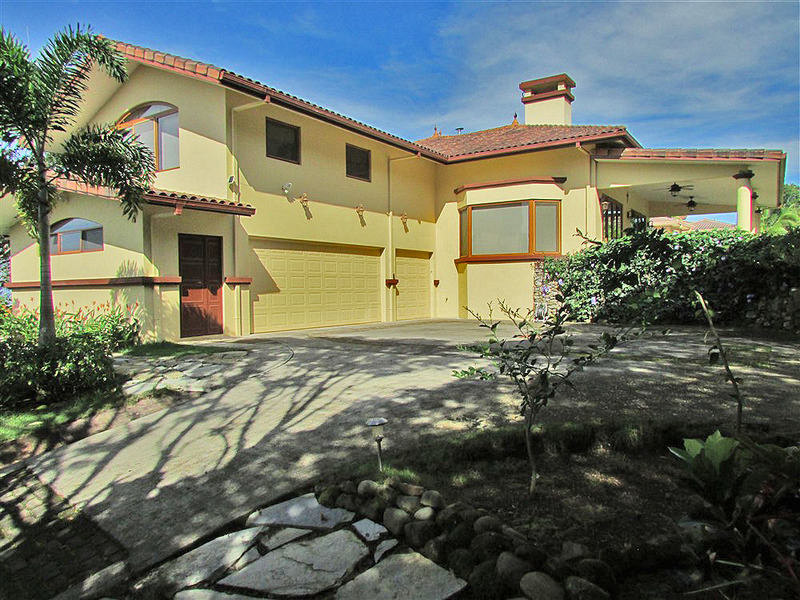 There is an enclosed garage. 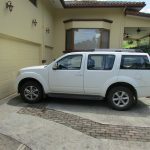 Most of the furnishings are available, as well as the seller’s Panamanian corporation and 2008 Nissan Pathfinder SUV. 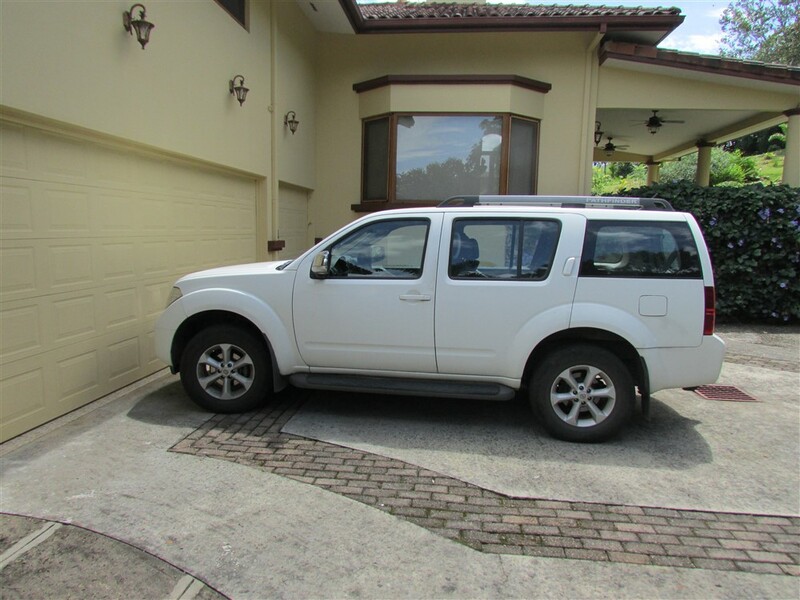 The unfurnished price does not include the furnishings and vehicle. 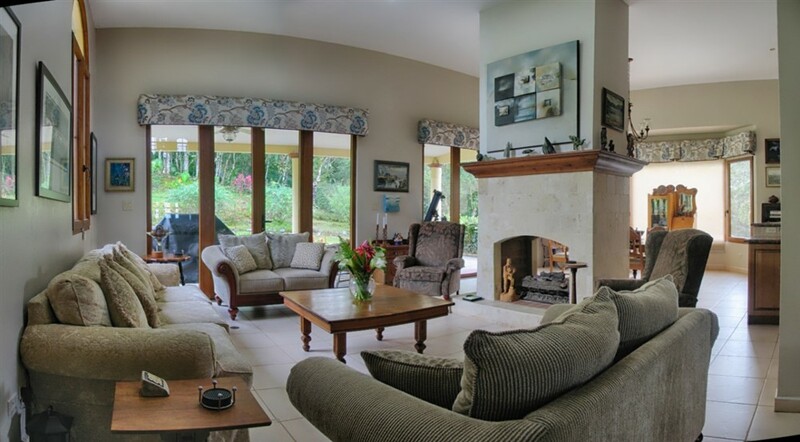 The furnished price does. 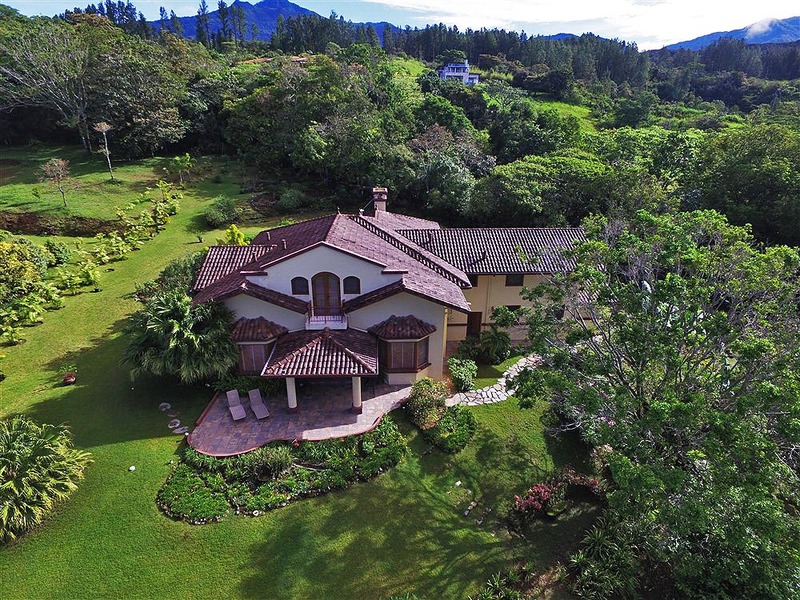 There is a stream bordering the property as well. 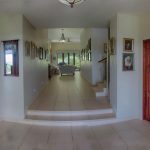 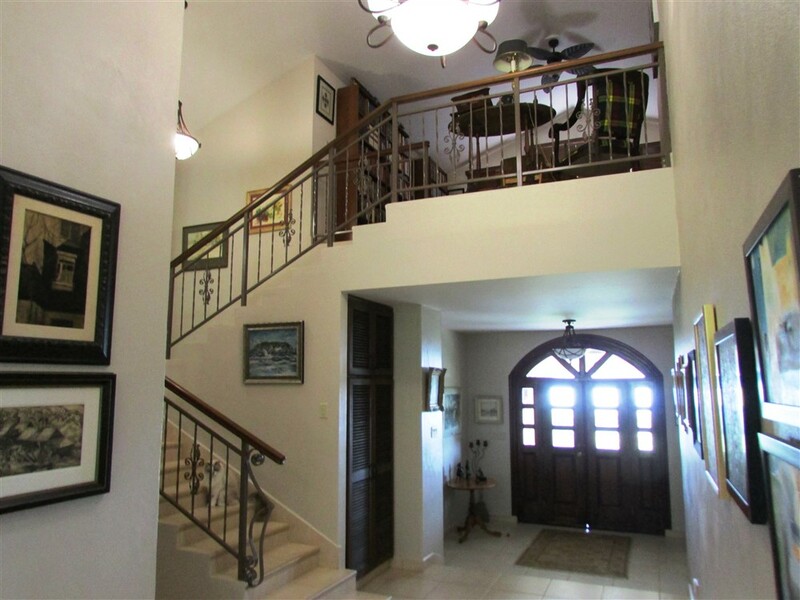 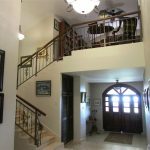 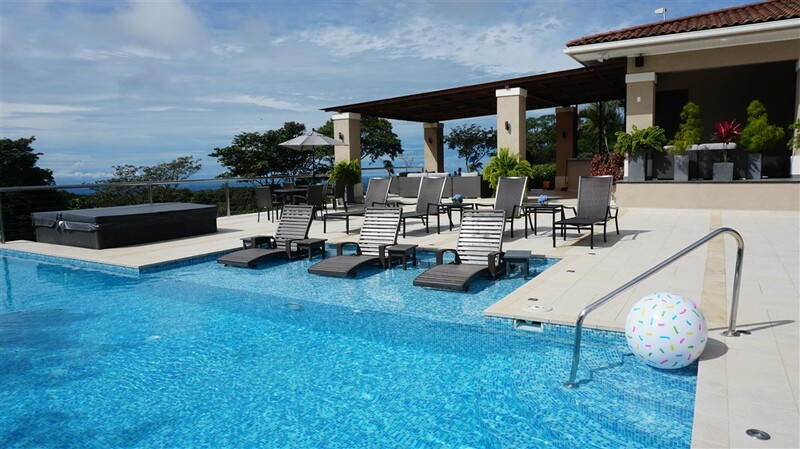 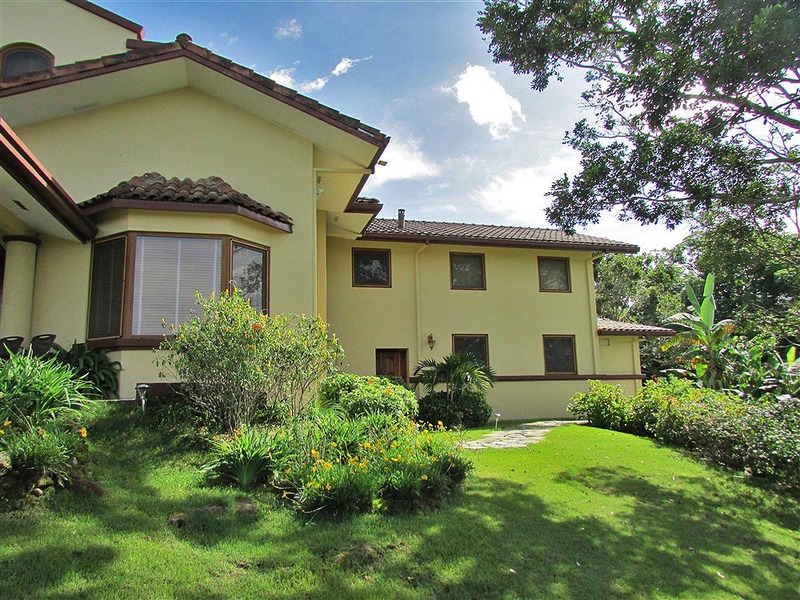 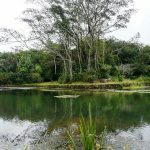 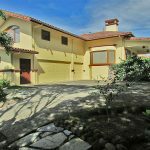 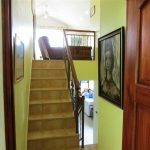 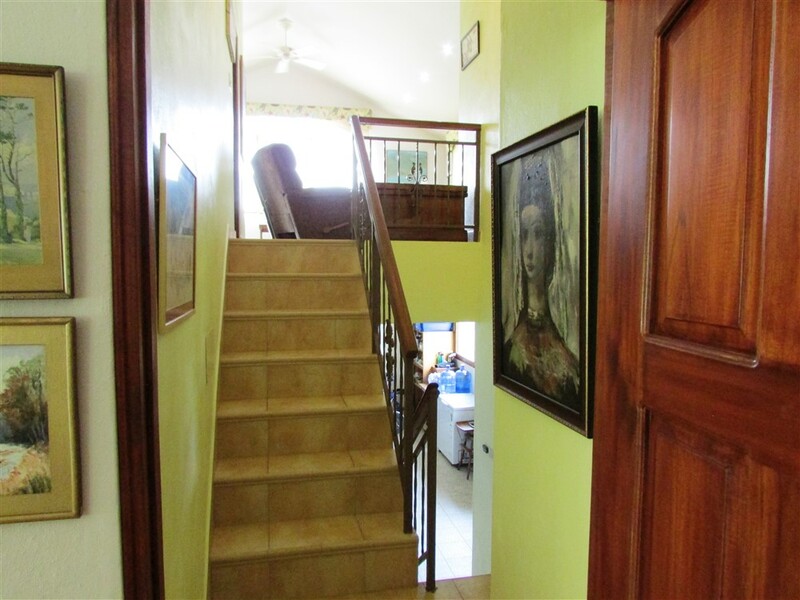 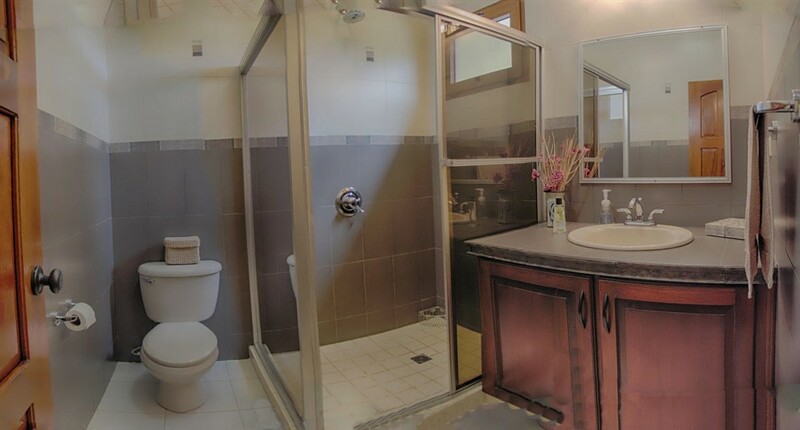 Please contact Casa Solution for more information or to view this impressive house for sale in Boquete, Panama. 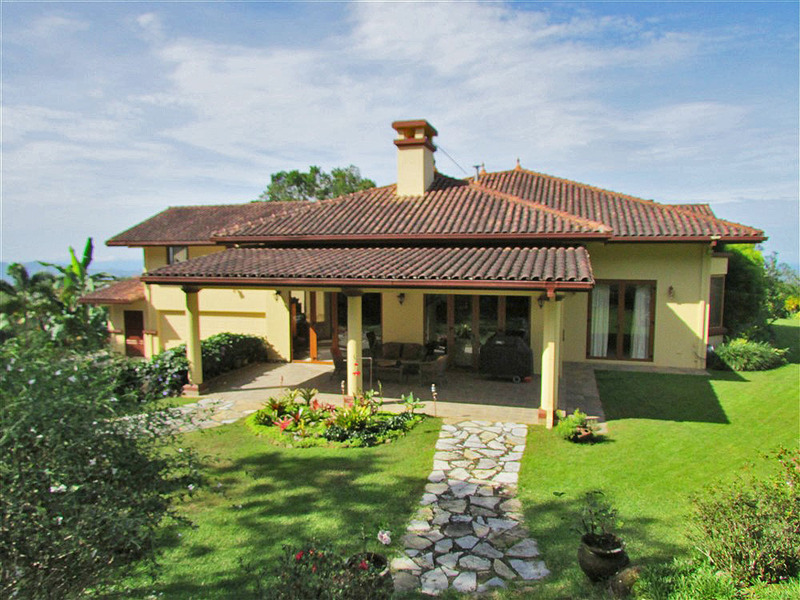 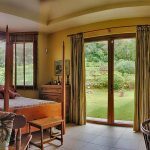 Esta hermosa casa se encuentra con vistas al único campo de golf diseñado profesionalmente de 18 hoyos de Boquete y también tiene hermosas vistas a la montaña. 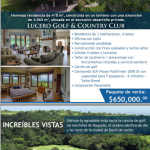 Lucero Golf and Country Club es una de las comunidades privadas, más prestigiosas y codiciadas de Boquete.